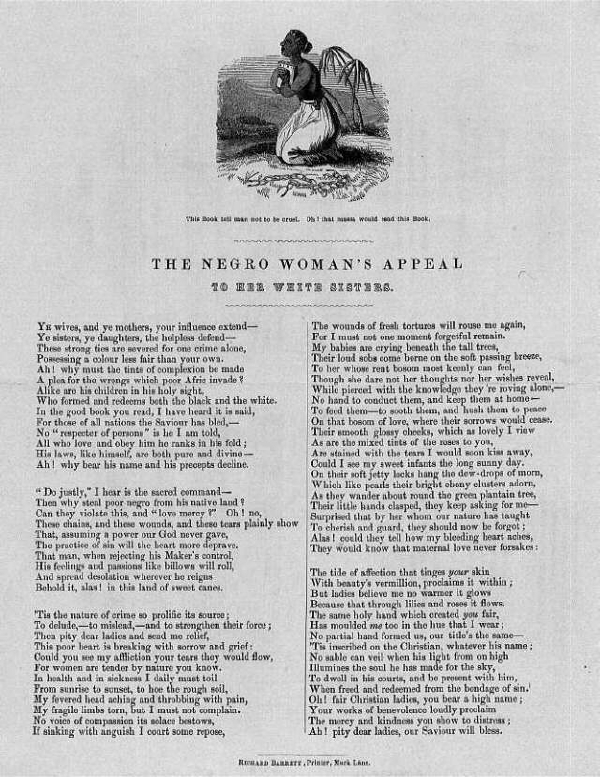 Annotation: Antislavery broadside created and published in London, 1850. With the increasing size of the abolotionist movement came the use of handbills and broadsides appealing directly to women of all races. Invoking powerful imagery, such as the supplicating figure shown in this broadside, were intended to appeal to the sisterhood of all women. Variations of this image appeared in various abolitionist newspapers, broadsides and goods sold at fund raising fairs.